Yarn: Opal Rainforest 6 ply in Owl. Needles: 2 x 2.75mm 60 cm circulars. Method: Knitted cuff down two at a time. 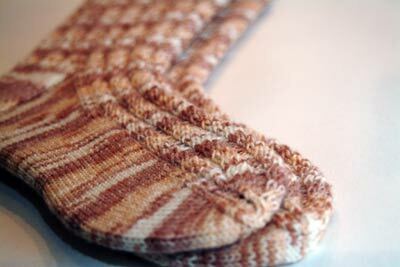 Details: 8 stitches per inch for a 9″ wide foot so I cast on 72 stitches. 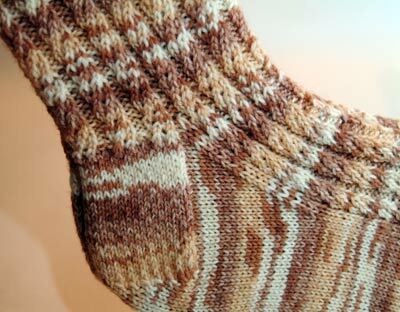 An ‘Eye of Partridge Heel’ for a very durable heel as they were a present for my MIL who is a keen walker. and as an added bonus they match her dog! >Very pretty socks and a matching dog too! The dog is ADORABLE. >They do match rather well, don’t they!!! Was it intentional? 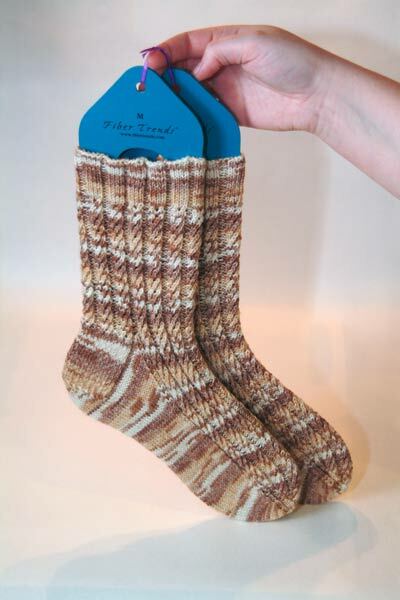 >Love the combination of yarn and pattern – they go really well together. 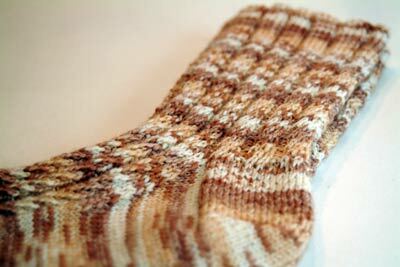 Eye partridge heel on the to do list now! 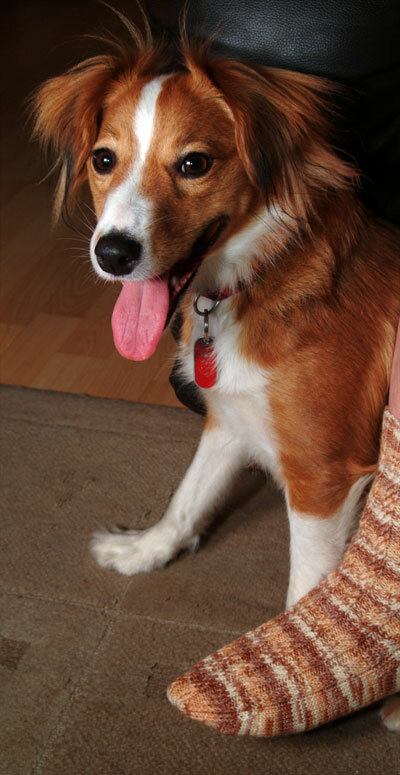 And lovely dog – but the cat pictures get me every time – they’re soooo cute! (and absolutely beautiful). 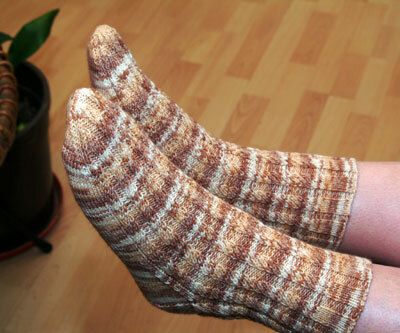 >That is a lovely pattern and it goes very well with the Owl yarn. Wish I had some Owl in my stash!